5G is a leading smart tech device, using precision CNC machining will make it easier to update the smart facilities, and drive 5G to a better position. 5G is on-Building a fully connected; the intelligent world has become the newest connected technology to lead in continuous innovation; the future world will be a digital world which involves everyone. Huawei, one of the leading-5G technology company in the world, attended the 2019 Mobile World Congress in Barcelona with the theme of “the Digital Village” to transfer 5G idea, intelligence and explore the challenge by the connected smart world. How the World to Drive 5G? “Sunrise 5G is going on very smooth, it is the first 5G leading man in Switzerland, we will soon start the business 5G in March, and it will cover more than 150 cities in our country” CEO of Sunrise Olaf Swantee said on Huawei Day0 Forum 2019. CEO of Monaco Telecom Martin Peronnet, signed an MoU with Huawei France representative office to improve the planning process of “Smart Nation” so that to build the Monaco 5G smart nation. XL Axiata Partners with Huawei to Build Southeast Asia’s First 5G-Ready Simplified Bearer Network, such network will cover entire Indonesia to support the individual, family and enterprise business, to provide the best network experience and to promote the changing process into the digital world. Why need to Rebuild Facilities for 5G? With the 10Gbps download speed of new 5G, the traditional wifi cannot satisfy it anymore, the current 4G is 1Gbps download speed, some can ready 10Gbps, but is an individual user need to reach 10Gbps, then the current 4G can only fulfill one user, therefore, the current facilities are not able to meet the 5G requirement, all are need to rebuild, also the current machine rooms are not enough, they also need to rebuild. To rebuild these facilities and machine rooms, there are many industrial parts need to redesign and run a test, this development process requires a longer time starting from prototyping stage to mass production. A lot of precision machining metal parts such as sheet metal steel covers, aluminum covers with a different finish for example powder coat will be involved. 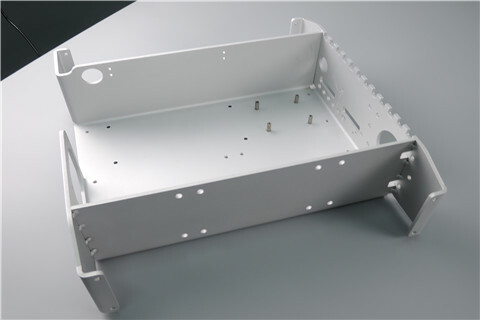 For sheet metal, we have laser cutting, sheet metal bending along with wire cutting for ribs designed on the part. 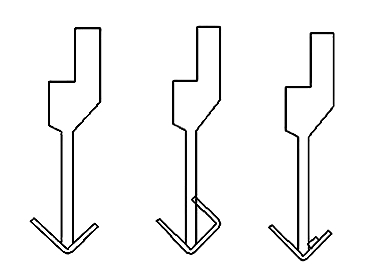 Different bending tools can machine different part shapes, see below. The Straight tool will be used to machine the structure without undercuts surrounded, if has details nearby, need to reconsider the tool adopt. There will be the different bending tool to bend the part if have undercuts, such tool will be a small curve tool, if a small curve tool still too big for the part, there is a bigger curve tool also; with obstacles can use a sharp tool, see the below picture. As sheet bending is a very important technology, a precision machining bending process will not impact the quality of the parts if can control the process well, the tolerance will be big and parts will have to deform issue. 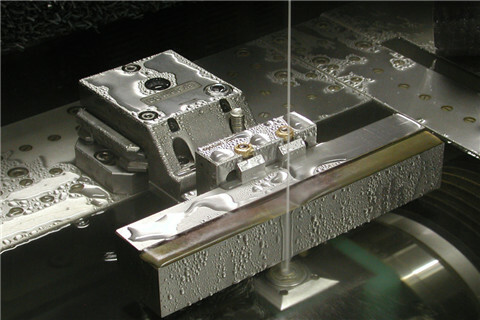 Precision machining during CNC machining will involve 2 main processes which are wire cutting and EDM. For wire cutting, you can produce almost any part with a single Wire Cut. Cut conductive materials ranging from aluminium and copper to graphite with an electrical spark. EDM technology allows you to achieve extreme accuracy when producing incredibly delicate parts at very high cutting speeds. Since only one tool is required, for a lower cost it is also alternative to milling, turning, grinding, lathing or broaching. What’s more, you can accomplish a whole range of different processes using multi-purpose EDM, even unmanned. EDM to machine metal undercuts: unlike plastic part, metal is not able to glue as better as plastic if split, for metal parts, it’s widely to be welded or use EDM to machine the undercuts. To electrical discharge the material by a brass tool, it will be a very slow process to finish the while EDM process. 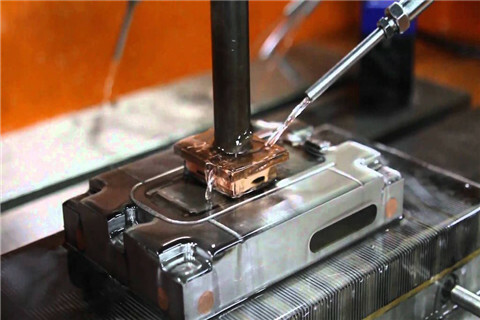 Electrical discharge machining help solve a lot of issues found in precision CNC machining: hardness. In traditional processes, metal workpieces are made from special grades of hardening tool steels machined in an anneal of soft state to facilitate cutting. As the dielectric fluid breaks down, the risk of unstable discharge increases. To control electronics can compensate a certain extent risk, but the only real solution is to continually pump clean dielectric fluid through the cutting zone to flush it. The more conductive particles in the fluid, the more difficult it is for the machine to maintain stable electrical thresholds inside the sparking gap. Some metal cases that used as cosmetic covers will pay more attention to the surface quality after EDM, after the discharge process, the surface will be rough and black, if the surface is larger and able to reach by sanding smooth, manufacturers will process the surface to ensure the good quality. For those parts that applied to outdoor activities, there are some post treatments to help improve the lifetime. For example, the anodized and powder coat, anodized can do hard anodized with chemical film and sealing after the finish. Powder coat can choose the outdoor powder coat which is special for the part that only used outdoor for years or decades. Both these two treatments can help cover the machining marks to get a better cosmetic. The world is moving, innovation will never stop, the machining technology needs to improve the machining ways and specification too, there is still a long journey to meet the real precision machining that benefits and fulfill ideas of every designer. If one day there is no forgiven steps need designers to take during machining, that will be really an automatically and intelligent world. We believe mobile 5G will jump-start the next wave of unforeseen innovation. 5G is the next generation of mobile broadband that will eventually replace, or at least augment, your 4G LTE connection. With 5G, you’ll see exponentially faster download and upload speeds. Latency, or the time it takes devices to communicate with each other wireless networks, will also drastically decrease.